An annotation is a summary of an article, a book, website, or any other type of publication. With annotation, you get enough information to make the reader decide whether to read or complete the work. If the reader is exploring the same topic as you, this material should include help him. Most importantly, let us understand what annotated bibliographies are. It is an organised list of sources, which differs from as straight forward bibliography where every reference is followed by a paragraph length annotation. This annotation is usually 100-200 words. They describe or summarise a source, as does an abstract. It describes the usefulness of a source in research on a given topic or question and its distinguishing features. More so, descriptive or informative annotated bibliographies describe the main arguments and conclusions of the author without evaluating what the author says or concludes. These summarise the materials used and analyses whatever that is being said. It evaluates the strengths and weaknesses of whatever is being presented and describes the applicability of the author’s conclusions to the research being done. For most of your annotated bibliographies assignments, you will be dealing with analytical or critical annotations. All these aspects might make writing annotated bibliographies challenging, but it is not complicated, as it seems. You can consult different examples of annotated bibliographies as a way to get an idea of how to go about the process. Let us now dive into the ways through which you can write your annotated bibliographies. You must have your sources before you can start writing annotated bibliographies. This shows you know what your research shows about the topic you are handling. You must have enough sources to meet the requirements of the assignment. Similarly, check to ensure all your sources are appropriate. Your annotated bibliographies ought not to to provide an overview of the research on the topic and the direction taken by your project. This is similar to a roadmap. When writing annotated bibliographies, you have to establish the needs of the paper first. Some of the annotated bibliographies that you write will summarise the sources that you have found. Your annotations can summarise and evaluate at the same time. The needs of your annotated bibliographies depend on your assignment or project. As such, ensure you are in constant communication with your instructor all the time. To have to describe the sources approach to the topic and the points it makes. Consider the content that the source chooses to discuss and how it is arguing. Establish what it wants you to lean or believe. Think of the summary as a way you would describe the source if someone wanted to find out what it was about. The length of such summaries depends on the needs of your assignment and the type of source. For instance, an article might take a summary of a few sentences as opposed to a book, which would take a page or more in some instances. Is the source useful to you or other scholars? If so, why? In some examples of annotated bibliographies, you will find that some of them are a standalone work. However, in most cases, they are part of a larger work and if th8s is the case for you, you been to take some time to reflect on how each of these sources contributes to your paper. Think of how you will use the source in your paper. Are you going to draw facts or important quotations from it? Are you going to use its findings to support your own? Will you argue with the central claim of the source or agree with it? Will you borrow its methods for your analysis? Such are the things you need to think about when it comes to writing annotated bibliographies from different sources. 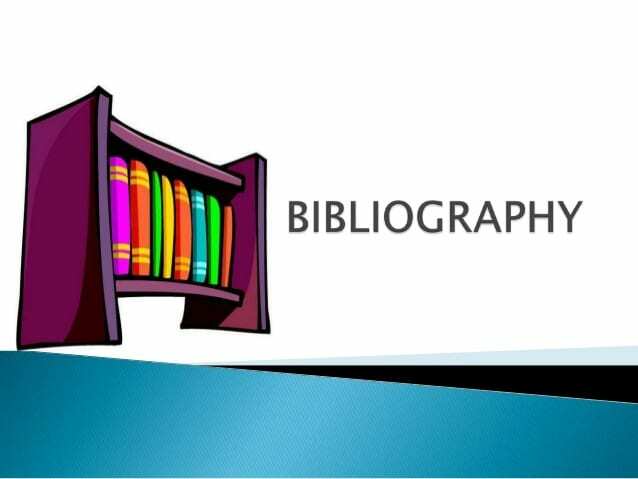 Annotated bibliographies are designed to provide an overview of the research on a given topic. It might be selective, choosing a few representative sources or it can be comprehensive and summarises all the major findings on a topic. Either way, the sources of your annotated bibliographies ought to be reliable and high-quality ones. You want to impress your instructor if you can stick to these. Look for scholarly sources that are published in academic journals and by authoritative publishers, reputable and established websites. If you are writing annotated bibliographies as a class assignment, you can ask your librarian or even the instructor about how you can get good and reliable sources. To add to your annotations, you have to provide basic bibliographic information for every source. This includes the author, title, date and so on. The style of citation you ought to use can follow the MLA, APA, and Harvard, Chicago Manual style or any other format. However, this depends on your project, and you should ask your instructor if you are not sure of the style to use. Most of the time, annotated bibliographies are written as a series of entries. At the beginning of each entry, you need to provide a full citation for the work. Subsequently, follow it up with your annotations that summarise and evaluate your sources in a paragraph form. Many fields and projects have their annotations one paragraph long. In other instances, they are longer and if you are not sure, find out from your instructor. In most cases, annotated bibliographies are arranged alphabetically in that their order takes the author’s last names. However, sometimes the organisational style might make sense and be accepted by your instructor or field. For instance, you can arrange your annotated bibliographies entry chronologically if you want toe mphasise on the developments in your topics over time. You can also arrange your sources based on the subtopics if there are groups of them that can be classified together. If you have sources in different formats, you can arrange them accordingly. Now that you know how to write annotated bibliographies, you also need to understand why annotations are important to you as a student. In academic writing, everything is supposed to ease the student with the requisite skills and the knowledge of why it is important. When it comes to annotations, you may be required to create and include them in your bibliography or as a part of a standalone assignment. As such, you need to understand the purpose of this approach to your reference list essential in ensuring that you gain all the benefits that the process provides. As a student, writing annotated bibliographies helps in developing and honing your research skills. It also provides you with practice not only in locating sources but also in this analysis for the evaluation of these sources for quality and relevance. You also get a chance to demonstrate you your instructor your research skills as well as allowing him to assess your work more thoroughly. If you have plans of publishing your research, you must use this comprehensive approach to detail your sources and provide readers and other researchers with a substantial directory of resources as they evaluate their work. Writing annotated bibliographies also help the student in demonstrating that he understands the literature underpinning the fed search problem. You obtain skills of showing that you can do an effective and thorough review of pertinent literature and can share sources amongst your classmates. This helps in having a collective understanding of the key research that concerns a particular topic. On a much broader level, writing annotated bibliographies prepared you to conduct a larger research project by letting you evaluate what the research has already achieved and where your proposed study may fit within it. You gain a better perspective on what the scholars are saying on the topic. This culminates to a chance where you can develop your perspective and contribution to the literature. Annotated bibliographies are also essential in narrowing your topic based on the sources that you have. This gives you a clear direction of how you are going to put your arguments and the kind of sources you are going to use to support the same. Professors usually put a lot of emphasis on annotated bibliographies assignments. The student stands to gain a lot from this assignment and not only does he understand what annotations are, but also the skills required in writing the best-annotated bibliographies for any paper that comes his way. Another aspect worth considering about annotated bibliographies is that it helps in avoiding procrastination. When students are required to submit annotated bibliographies early in the research process, they facilitate more effective use of their time. It also prevents them from intentionally delaying their research and leads to a better grade. Students will always find fault with different writing assignments. However, they fail to understand the extent to which they can benefit from these assignments. When it comes to writing annotated bibliographies, not only is the student getting equipped with skills for his final projects, but also the skills he will need when he is out of school. Research skills are essential, and knowing how to write different aspects of such a paper can be instrumental in the way one might handle different work-related tasks especially the ones that involve research. Writing annotated bibliographies can never be a hard task especially with the above steps. It also matters if the student is utilizing the examples of annotated bibliographies, especially from the internet to keep bettering his skills. Academic assignments will always come, and the student has no choice but to ensure that he masters every possible skill that comes with them. He has one to benefit from it. Learn to write precise annotated bibliographies with us!